The Best Resume Youve Ever Written Or Your Money Back! Give Me 10 Minutes And Ill Have You Writing Resumes No Employer Can Resist! One of the most important parts of the hiring process is the resume. (How many jobs do you know of that do not require one?) And its important you put your best foot forward with a great resume. See How Easily You Can Prove Youre The Right Person For The Job! ...you wont! And youll present yourself as the capable candidate for the job. Your resume will shoot straight to the top of the stack. Because the truth is... a great resume can catch an employers attention and tell them youre his guy or gal. In my 41 page report, Ill show you exactly what you need to do to ensure your future boss doesnt forget your resume. It comes in a downloadable file you can be reading in just minutes from now. How a resume can show loud and clear your credentials. And in a way that shows you have what it takes to be a complete success in your new position. 4 things you must be sure about when turning in a resume. Know these and selling yourself will be easy. How successful job-seekers brainstorm before they write one word of their resume. Dont forget this important step, or youll be sorry. How to sell yourself without representing an ego larger than Donald Trumps. How to write an Objective Statement that speaks to the employer. This will keep your resume at the top of the stack. When to really let yourself shine with descriptive, complimentary words that make you stand out. 3 step game plan for writing a knock their socks off summary. The key point you need to know when writing your skills and accomplishments. This is your chance to bore or inspire the reader. 4 gems to use as skills and accomplishments that will set you apart from the rest. 3 different formats of resumes. When to use them, and why to use them. With full examples of each that visually show you how its done. So you cant get it wrong. How to craft resumes for the Internet. Its not the same ball game anymore - heres how to easily adjust: 9 simple guidelines electronic resumes need to succeed. A Fort Knox gold mine of power words. Use these powerful, seductive words in your resume and the reader will be hooked. Why you shouldnt use the words, Work History. And which words to use instead. How to organize your Education Credentials section for maximum impact. What smart applicants do when listing their affiliations. And more importantly, what they leave out. How to use a personal interests section for maximum benefit. Warning: Read this before you even think of adding one! 6 simple steps for making your resume look sharp. Impress your future boss with crisp formatting. 9 essential pieces of information that must appear in your resume. 6 components of your Positions Held list that will prove you have experience for the job. How to leave filler out of your resume for positive results. Tips for writing with style. Use these simple, everyday techniques to spice up your writing. 7 things that should NEVER appear in your resume. 5 sample resumes to copy for success. Why the cover letter is just as important as the resume. 2 fill-in-the-blank cover letter templates. Guarantee cover letter success with these secret weapons. 11 key phrases to quickly and easily insert into your cover letter. Create a compelling cover letter with fill-in-the-blank ease. 2 sample cover letters that reveal exactly how its done. And theres MUCH more - guaranteed! Do You Make These Mistakes On Your Resumes? Are you boring the person whos supposed to be hiring you? You dont need to be a great writer to keep his or her attention. You just need to follow a few steps that can be found on pages 24 and 25 that will turn your resume into a hypnotic sales piece. Now you can write a resume that sells yourself like no one else is writing. Are you following todays conventions for acceptable resumes? 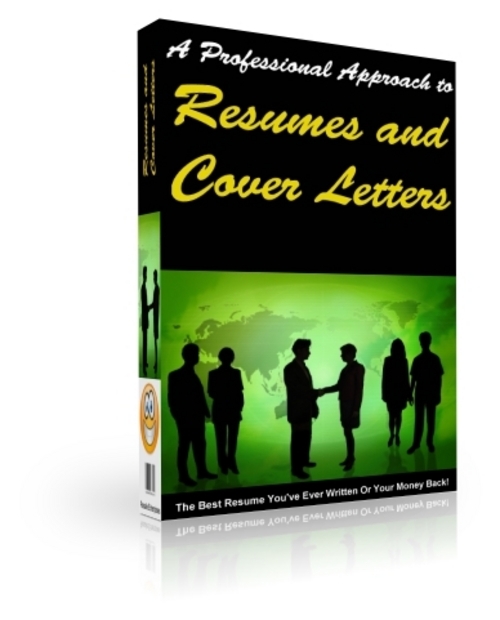 Youll find 5 sample resumes between 26 & 35 that guarantee youll know how to create a cutting edge resume. One that will prove to your future employer that you have what it takes to fill your desired position. In my guide, I tell you exactly what you should say. And exactly what you shouldnt. In 41 pages, I make sure you have all the information you need to sell yourself to the best of your ability. If this could be the difference between getting the job. And staying home to apply at a fast food restaurant. How much would my cutting edge information be worth to you. If I walked you through the process of creating a killer resume, taking you by the hand and never leaving you behind to guess. How much would it be worth to turn in a killer resume for your next job application? Would it be worth a weeks paycheck if it got you the job? Surely itd be worth $100.00 if it would eventually leave to thousands. But you can get your hands on this information Ive compiled for you for just $19.95 if you act today.